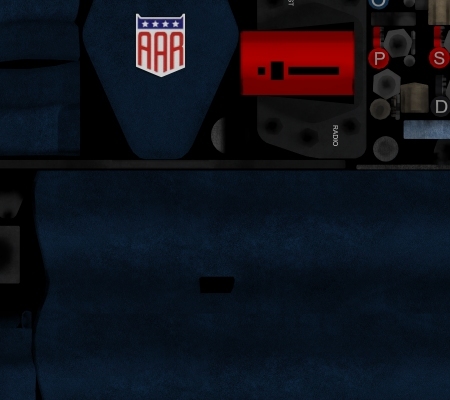 The images are clickable throughout this page to show uncropped but scaled down versions of the originals. 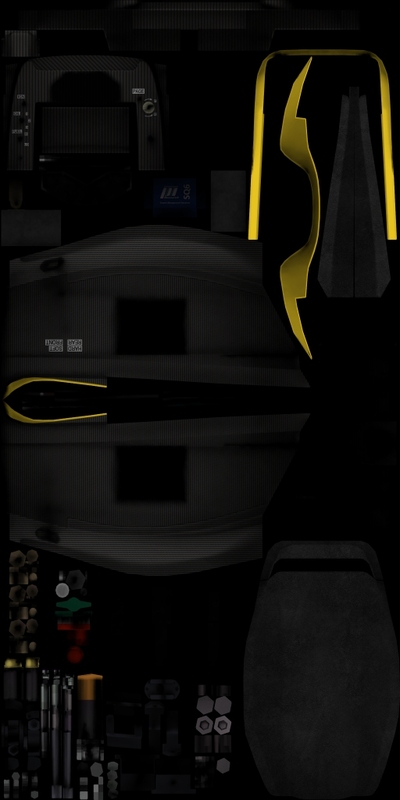 Liveries are 2048×2048, cockpits 1024×2048 and steering wheels 1024×1024 originally, but scale down well to allow flexibility depending on graphics engine efficiency/user computer power. The Reynard was the first CART car I created, and as such shows its age the most. The majority of the shadows are hand drawn with only a minimal ambient occlusion overlay which doesn’t add a great deal. Suspension shadows in particular are quite poor! 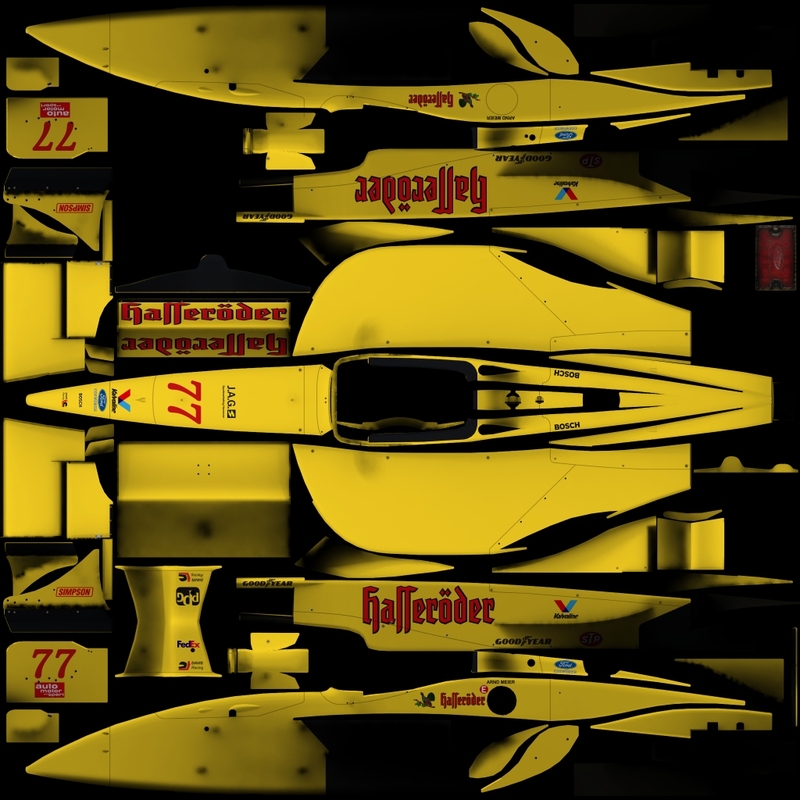 Depicted above is the livery from Mauricio Gugelmin’s #17 PacWest Racing car. 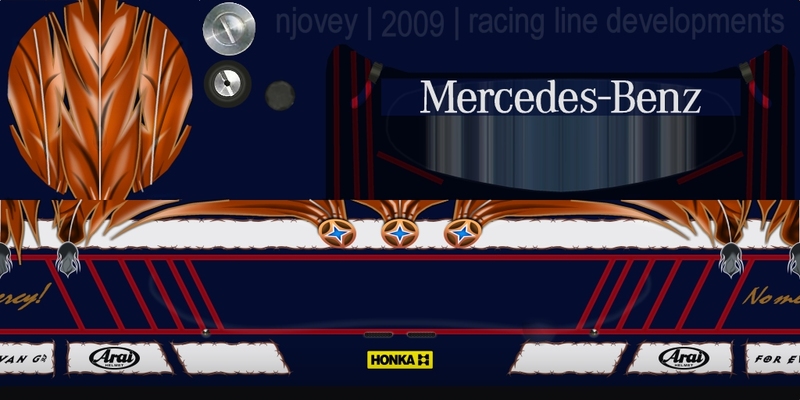 One particular issue with all the car liveries was that many logos had to be created from scratch. This was a necessity partly due to simulating a season that largely pre-dated digital photography but also because many companies’ logos have changed between then and now! 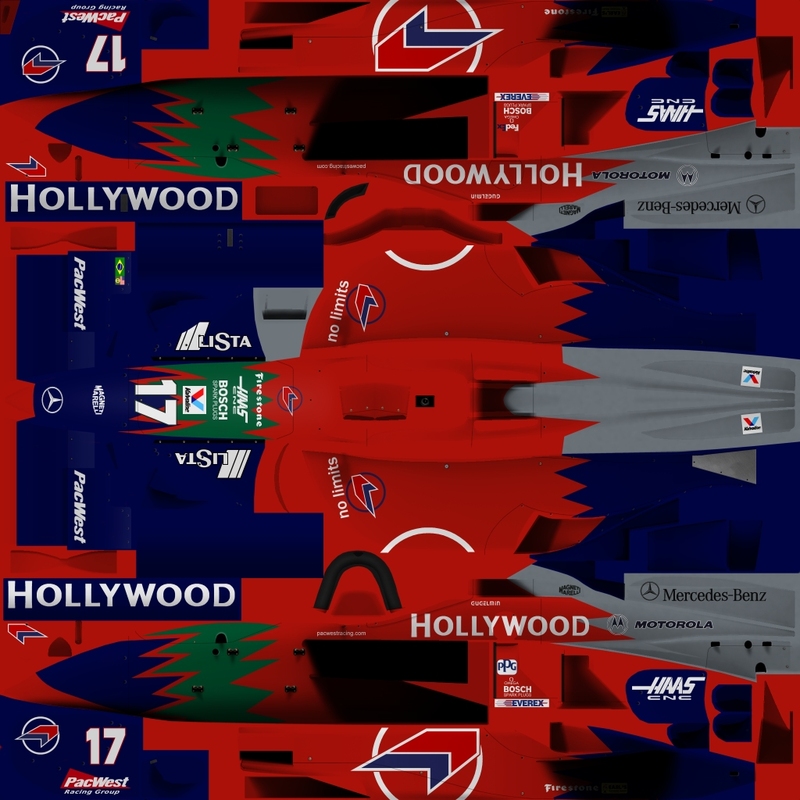 For this particular car the PacWest, Hollywood (both text and icons), Lista and Haas logos had to be drawn from scratch. Of course the numbers and driver name text are completely custom as well. The liveries for the Swift cars were created in the same manner. The Lola T98/00 was the first of the CART cars to feature predominantly baked shadows augmented with limited hand drawn shades and highlights (mostly on/under the sidepods), however as an early example the shadow quality is less than spectacular. 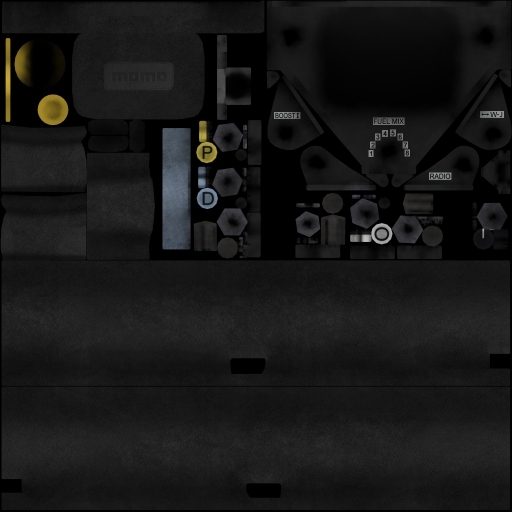 Body lines, pins and holes are hand drawn and as on all cars a normal map is used to give them depth in-game/in renders. 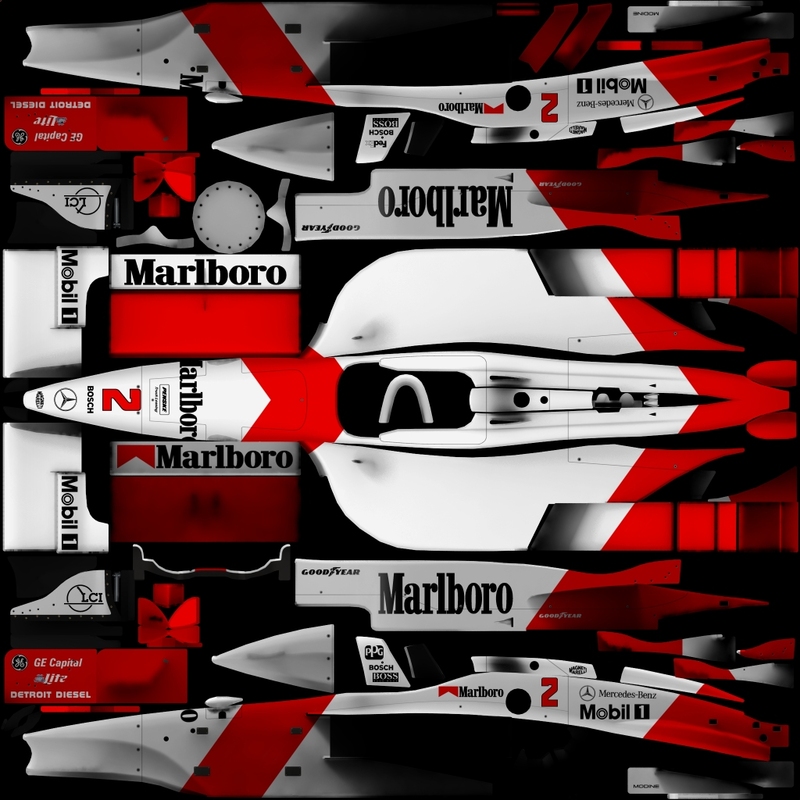 Penske’s PC27 represented a step in quality with regard to the baked shadows but still featured a lot of hand-drawn lights and shades to complete the effect. 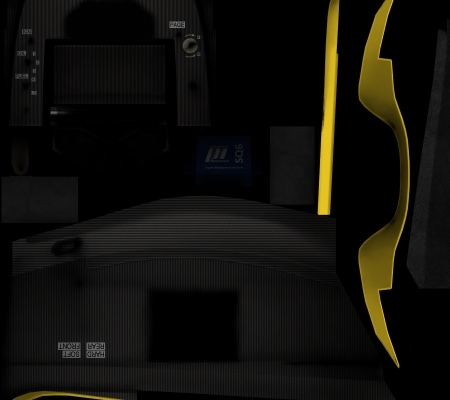 Also note the second nosecone on the texture, this is for the oval configuration of the car. 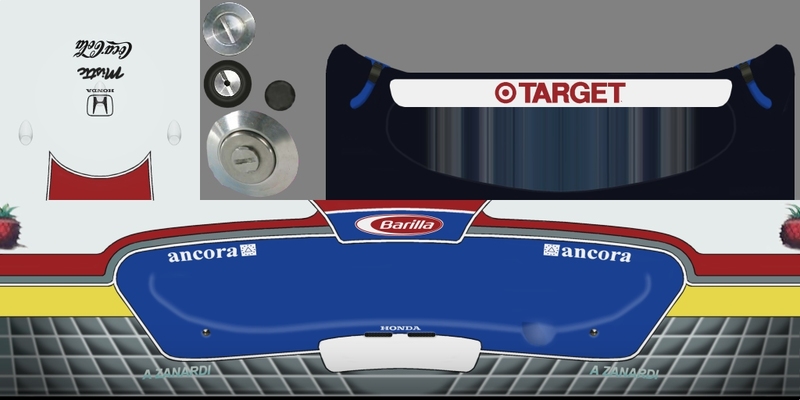 The oval wings themselves for all cars are on separate textures and called when necessary; if resolution was an issue everything could be placed on a single car body texture of course. 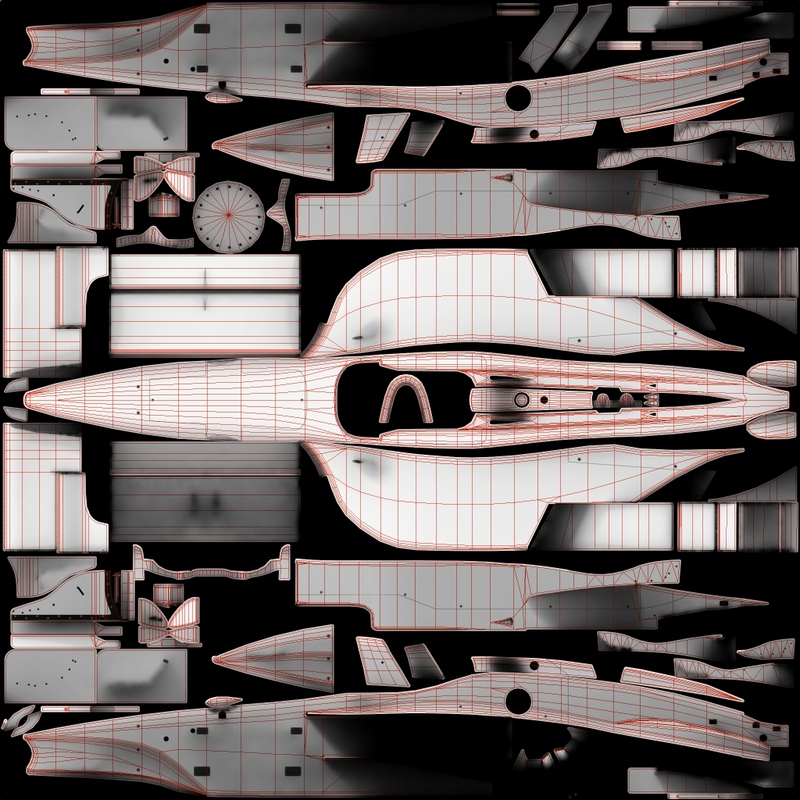 Below is an “unpainted” version of the Penske, depicting only the texture’s details and shading, with an overlay of the UV wireframe. 100% baked shadows, with many layers of different carbon weave, metal, suede and plastic textures and many other details. 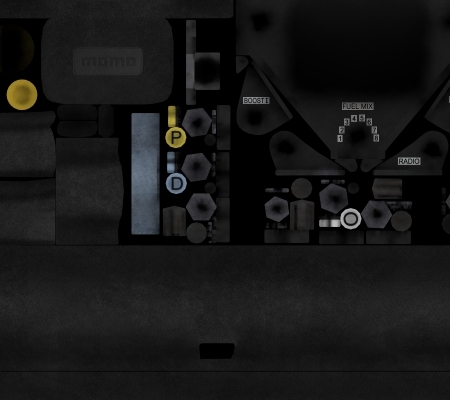 Not as efficiently mapped as was possible – upon reflection many parts could have been shared between each cockpit (seat textures, much of the small linkages, ECUs, etc). 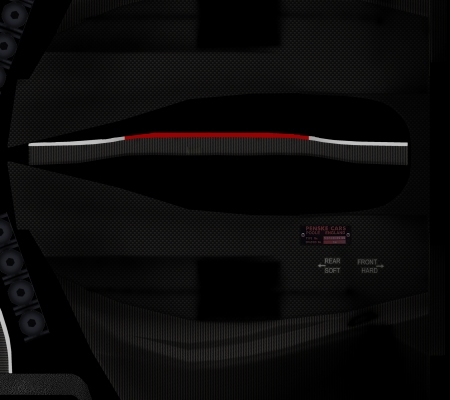 As with the cockpits the steering wheel textures utilise 100% baked shadows, with fully unwrapped grips to minimise UV stretching. 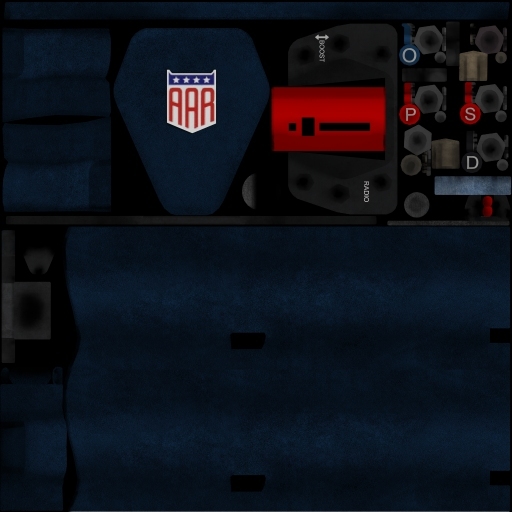 Renders and screenshots of these textures and many more wrapped around the appropriate 3D models can be viewed in the CART 3D section.